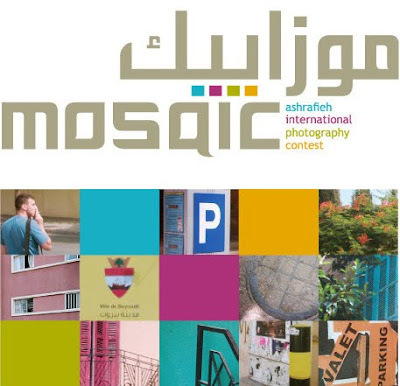 Following last year's successful "Lakum Hamra2ikum, wa li Hamra2i" (Your Hamra, My Hamra) based on the beloved Hamra Street in Beirut, Spreadminds is organizing this year "Mosaic: Ashrafieh International Photography Contest" based on another lively area within Beirut. Similar to how a mosaic consists of many small pieces coming together to create one image, Ashrafieh is itself a mosaic of diverse neighborhoods, lifestyles, people and values. Ashrafieh’s essence transcends its sidewalks and buildings, for its unique voice remains grounded in history but also rebels against it as the district evolves, uniting the past and the present to give a promise of a dynamic future. Photographers are asked to present Ashrafieh the way they themselves see it. Whether it is the rustic houses with colorful window shutters, the bustling streets at dusk, the high-rise buildings with shining reflections or the winding staircases connecting one neighborhood to the other, the photographs should tell a story from a unique perspective. The purpose of the contest is to gather as many photographs as possible that show how different people see, feel and live Ashrafieh. 150 photographs will be selected after the first cut and exhibited at popular coffee shops and places within Ashrafieh for public voting. Votes will also be collected through the contest Facebook page. At the end of the voting period, a high profile jury (including art specialists, marketing specialists and international photographers) will evaluate and chose the winning photographs based on categories. The winners will receive valuable prizes at an event to be covered by major media channels (TV, magazines, newspapers, websites and blogs). Alongside the contest, Spreadminds will also be organizing workshops with experienced photographers and developing promotional campaign for the project. Postcards, posters, goody bags and other visual materials will be distributed during and after the competition. Spreadminds will also publish a high-quality photography book after the contest is done that will include, in addition to the best photographs gathered from the competition, words by all the sponsors and project partners. A historical/cultural brief about the neighborhoods of Ashrafieh and competition highlights will also be included in the book. * The award consideration is for photographs by young photographers between the ages12-18 years old. ** The award consideration is for photographs with a documentary or reportage focus. Images may not be staged/posed or digitally manipulated beyond the reality that existed when the image wasmade. A minimum of 5 photographs to be submitted as part of a photo-story. *** Different mentions based on subject matter. There are no restrictions to take part in the competition. Photographers of all skill levels are invited to participate. Neighborhoods covered by the contest: Gemayze, Karm el-Zaitoun, Monot, Sodeco, Sioufi, Jaitaweh, Fassouh, Sursock, Mar Mikhael, Sassine, Berjawi & neighboring areas.